Renowned Ghanaian Prophet, Emmanuel Badu Kobi, has bemoaned the manner in which one of the government's flagship programme, the Free Senior High School (Free SHS) programme is being implemented. The founder and leader of the Glorious Wave Chapel International who was speaking to Mugabe Maase, host of Inside Politics, on Radio XYZ observed there were numerous challenges confronting the Free SHS policy such that the programme will end up doing more harm to pupils than its intended purpose. "The Free SHS is a sham. It's not going on well. For me, I'll tell the truth without any fear...People confide in me a lot because I'm a man of God. Many people are complaining [about the policy because it is not what the government says it is]. Some of these people who say it is bad are even from the Education Ministry... 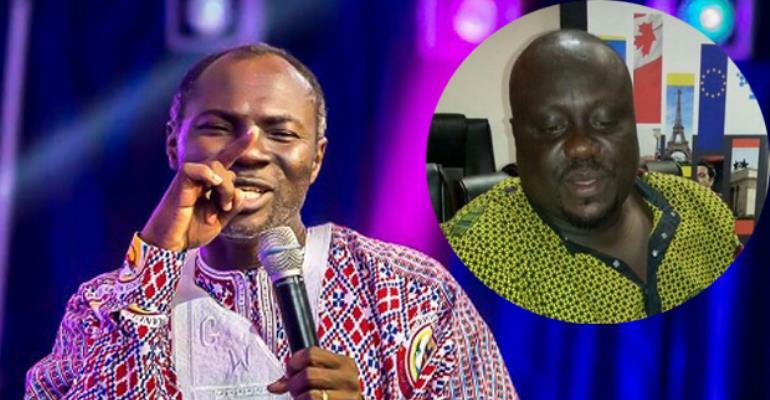 I'll say this without favour," Prophet Kobi disclosed. after reports of a list of challenges marring the government’s flagship programme which has been able to enroll almost 400,000 students in 2018. He wants the 'double track' system to be scrapped since it doesn't benefit the students, adding, the students have to stay home for months while some of their colleagues are in school. To him, his argument is borne out of the experiences some parents have shared with him in different parts of the country. Former Education Minister, Professor Naana Jane Opoku Agyemang also holds a similar view on the Free SHS policy and its implementation. In 2018, the Free SHS programme was able to enroll almost 400,000 students onto the 'double track' system. Currently, the programme is run on a shift system known as ‘double-track’ school calendar system. The new programme creates a calendar of two semesters in a year for the SHS 1 class containing 81 days per each semester and 41 days of vacation for a sandwich class. The government has said the double track is to absorb more students who hitherto would not have had access to senior high school education for lack of adequate logistics. But the former Minister, who believes the implementation of the Free SHS was rushed without taking into consideration the data to use to provide schools with what they need, said it was “creating panic” among parents, guardians and the students due to the lack of infrastructure and other logistics. “What is education?… The students shouldn’t be frightened, their parents should not be worried, teachers should not come out to say ‘we don’t understand the policy’ and fear for their positions after talking about the challenges,” she said in an interview on radio XYZ on October 15, 2018. When told many Ghanaians were happy with the fact that their wards were enrolled without paying fees, the former vice chancellor of the University of Cape Coast (UCC) said the condition of the students enrolled on the double track system was terrible, adding that the quality of education in such schools risk being compromised – a total deviation from what education stands for. “If it is the best, why are private schools advertising that they are not doing it [double track] in their schools?,” Prof. Opoku Agyemang quizzed. To her, it was for the impending challenges that the erstwhile John Mahama administration rather started the “progressively free education” which, she said, took care of the major fees parents were billed with. Touching on infrastructure, she said the previous NDC government did not want to compromise on the quality of education, the reason government started putting up community day schools which were intended to reduce congestion and improve on the quality of education in the country. She said before government commenced the progressively free education, it had already conducted research into the needs of the various schools and the students who needed government support unlike rolling students en mass onto the programme. The former minister is not the first to point out to the government that all is not well with the Free SHS policy. In July 2018, the Upper Presbytery of the Presbyterian Church of Ghana called on the government to consider an evaluation of the Free Senior High School (SHS) programme to address its challenges. As a partner in development, the church, in a communique, added that accommodation, furniture, inadequate classrooms and delay in the release of funds for feeding had to be fixed. The communique which was read at a news conference by Reverend Emmanuel Atami, Chairman of the Upper Presbytery at the end of its eighth Presbytery Session held in Garu, in the Garu District of the Upper East Region, commended the government for the pro-poor policy, but hastened that its numerous challenges needed to be attended to. Editor-In-Chief of the New Crusading Guide, Abdul-Malik Kwaku Baako, is one of the journalists who has pointed out to the government that there are serious challenges confronting the Free SHS policy.